Hunting the Higgs, published by Papadakis Publishers in collaboration with the ATLAS Experiment won the Bronze prize in the Science category of the Independent Publisher Book Awards. The Award ceremony was held on 28 May in New York on the eve of the BookExpo America Convention. "Ours is a souvenir book that give viewers a glimpse of the discovery of the Higgs boson and the collaborative effort behind it of thousands of scientists in ATLAS," says Claudia Marcelloni, communication officer of the ATLAS Experiment, who worked on the book with freelance science writer Colin Barras. "The science is noble and the collaboration heartwarming and the IPPY Award is a great way to celebrate the mind-blowing story of human achievement." 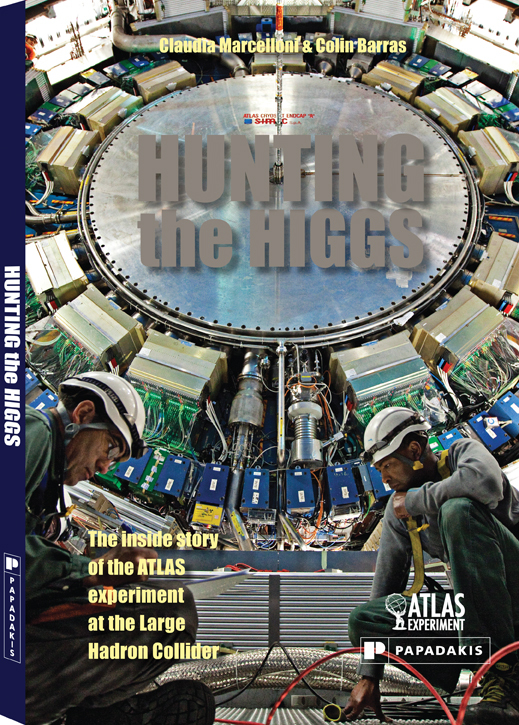 Hunting the Higgs is the inside story of the ATLAS experiment at the Large Hadron Collider. It tells the journey of the experiment, from before the detector was born to the announcement of the discovery of the Higgs boson, and what ATLAS physicists hope to continue exploring. The IPPY awards received more than 4,000 entries for its various categories. This year, the Gold prize in Science went to Sabertooth, by Mauricio Antón (Indiana University Press) and the Silver went to The Naked Eye, by Dr Gerard Sutton and Dr Michael Lawless (A.K.A. Publishing).